Place a seasoned iron skillet in the oven and preheat to 350 degrees. In a large bowl, mix all the ingredients together. Pour 1 Tbsp oil in the skillet and tilt to cover the bottom. 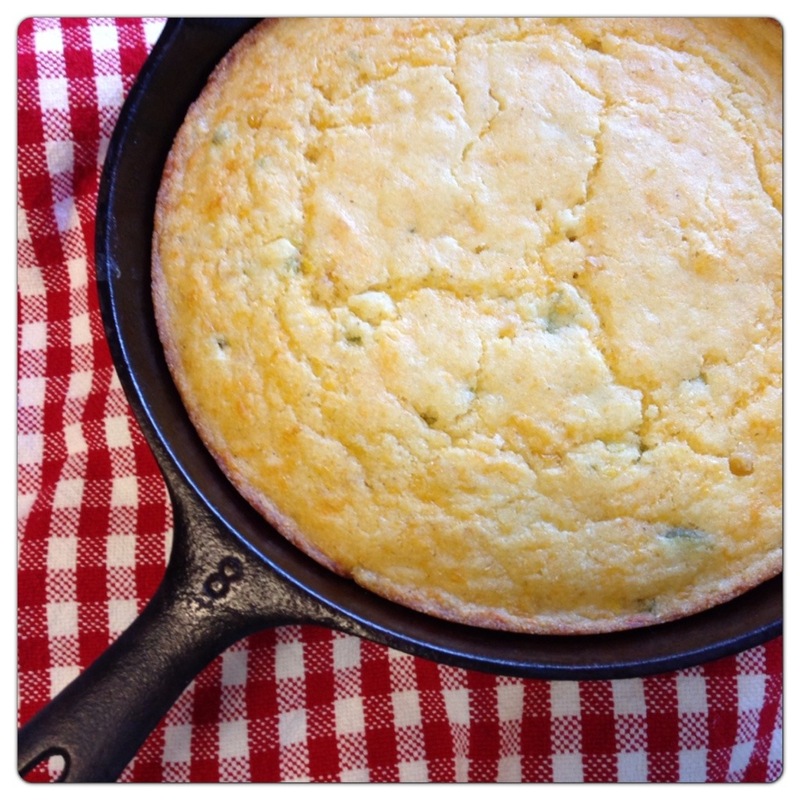 Pour batter in the skillet and bake for 30 to 40 minutes, until browned on top. Turn out onto a plate and cut, and serve. Mama and I take the remaining cream corn and put it in a zipper seal bag to freeze. Next time you make corn bread just lay it out for about half an hour before you need it to thaw.